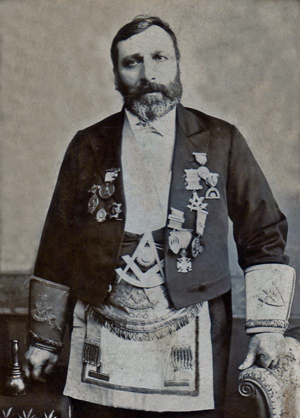 Founder Member and First Master. Founder Member, and Secretary for 38 years. Secretary for 35 years. ( 1921 - 56 ). 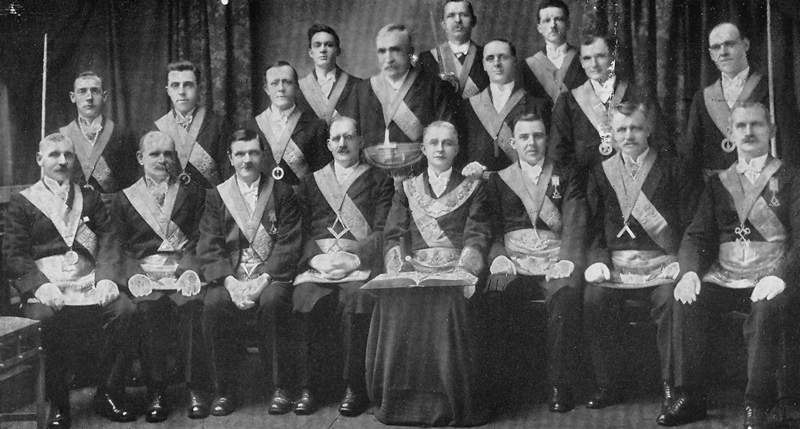 OFFICE - BEARERS JUBILEE YEAR 1924 - 25. Back Row - Brothers... David Hutcheson, S.B. - James Wilson, Tyler. - Robert May Jr., I.G. W.S.W. - Robert McMillan, W.J.W. - John Lawson, S.S. - David Scott, JD. D.M. - David Thom, R.W.M. - John Weir, I.P.M. - John Bryce, S.M. - Thomas Bryce, P.M. Treasurer. 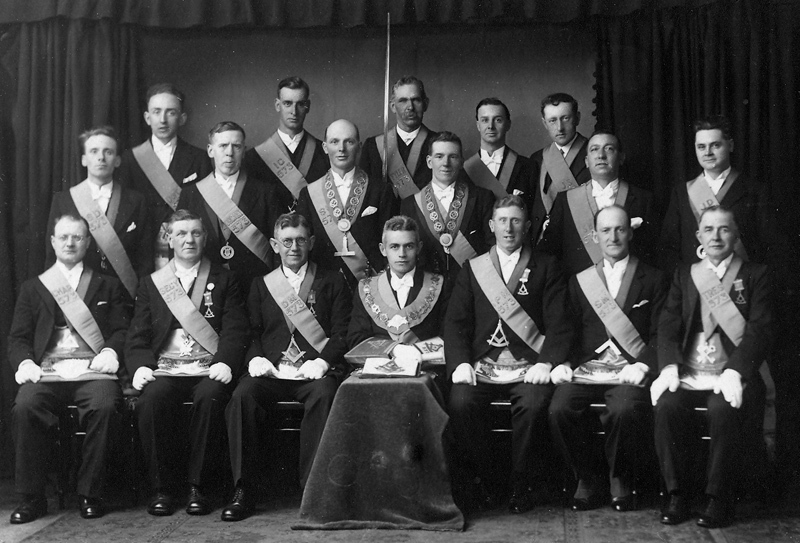 OFFICE - BEARERS 1934 - 35. BB. - John McMahon, SS. Middle Row - William Livingstone, SD. - Stewart Wilson, Organist. - Thomas Harris, WSW. Alex. Forbes,WJW. - Alfred Anderson, SB. - Leopold Tomkins, JD. Bryce, RWM. - James Pearson, IPM. - Alex. Thompson, SM. - David Thom, PM, Treasurer. 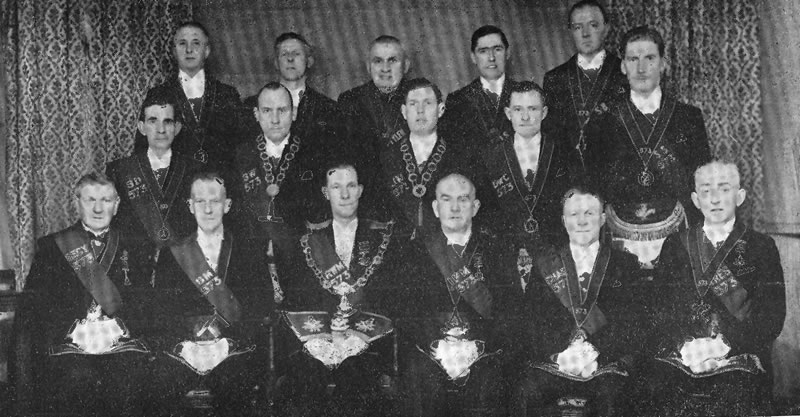 OFFICE - BEARERS 1949 - 50. 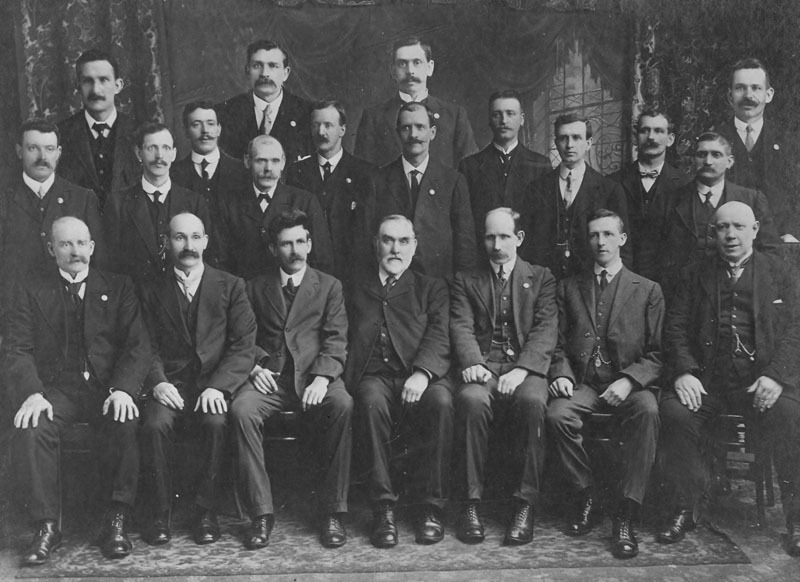 Middle Row - Hugh McDermit, S.D. - John Campbell, W.S.W. - William B. Barr, W.J.W. - John Downie, D.O.C. I.P.M. - Thomas Grierson, Chaplain. - Alex. A.R. Murray, P.M. Treasurer. 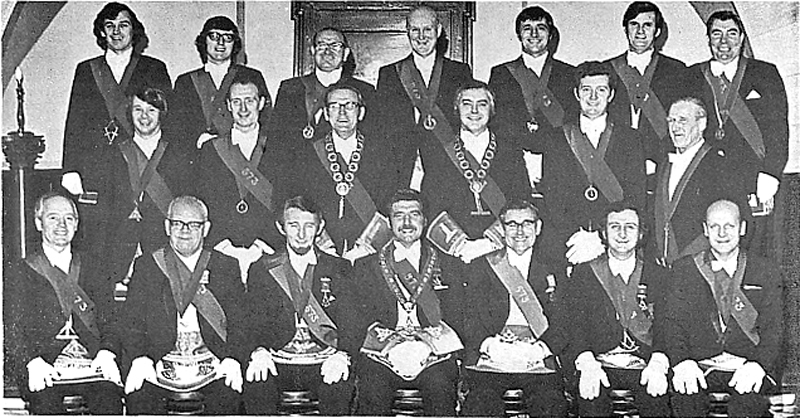 CENTENARY OFFICE - BEARERS 1974 - 75. 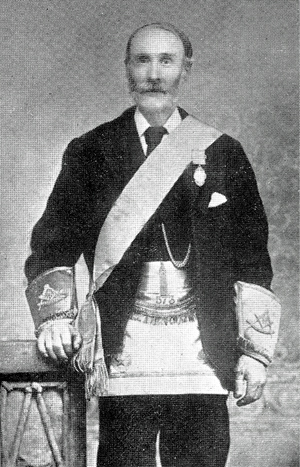 J.S.- David Bebbington, B.B. - David Bulloch, S.B.- William Hislop, Organist. Middle Row - George Irvine, Chaplain.- John Gibson, J.D.- John McCaskill, W.J.W.- Andrew Allardice, W.S.W. - William Roe, S.D. - James Beck, Tyler. Front Row - William Kirkwood, Almoner.- Alex. 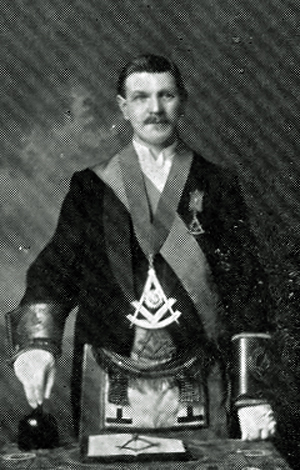 McAnally, P.M. Treasurer.- George G. Smith, P.M. D.M. 125th ANNIVERSARY OFFICE - BEARERS 1999 - 2000. Front Row - William A.Nelson, P.M. Treasurer - Thomas Kirkwood, S.M. - Robert Walsh, P.M., D.M., R.W.I.M. class was still active in 1908. Recognise a Father/Grandfather/Great Grandfather, please let us know.